ROCKING AROUND THE LYIT – IT’S A CHRISTMAS HOLIDAY! They were decking the halls with holly when the Letterkenny I.T. 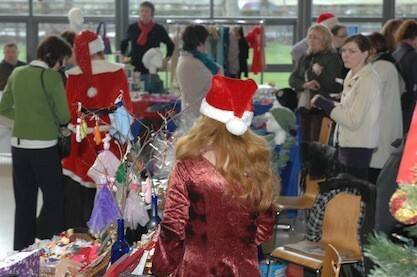 Student Services Department held a Christmas Gift Fair at the Multi Purpose Centre at the college yesterday. 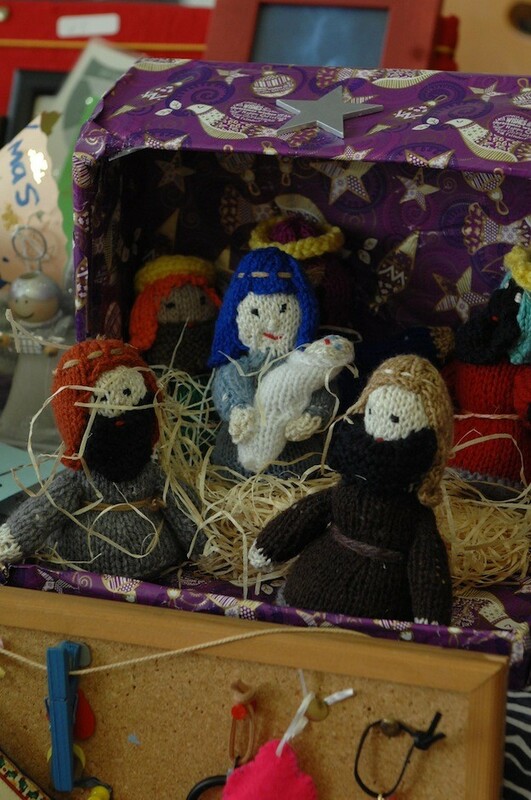 The venue was decorated by staff and Christmas stock courtesy of Dunnes Stores, Forte Road, Letterkenny. The idea of the Fair as specifically to raise funds for under privileged students, many with young families, who find that Christmas has become a demanding time for the basic needs of fuel, shelter and basic requirements fro the children. The Fair organisers were in contact with many of the Donegal Craft Fair Group who either attended the event or recommended other traders to show their various treats and creations, which ranged from hats and scarves, to honey, apple jelly, chutneys and greeting cards, gift labels, jewellery and fashion accessories. A modest €1 student admission (€2 staff), was the entry, which entitled all those who attended to be included in a free draw. The draw was categorised into ten separate lots, such was the good will on offer from the traders in attendance, as the gifts that became available far exceeded the estimates of the organisers. 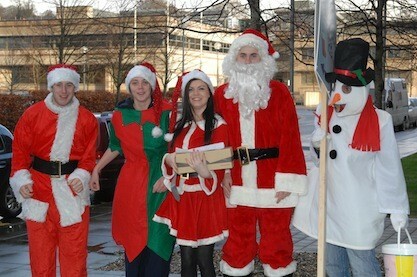 The funds raised will be made available to those most in need by the Chaplaincy Office, at Letterkenny I.T. , all of which will be distributed for Christmas in voucher form to all those considered, within the student body, to be in need at this time. Thanks to Fiona Kelly, Paddy Gallagher and Fr. John Boyce for their efforts along with Student Union members Aoife Mangan, Mark Sweeney and David Heraty and student assistants.